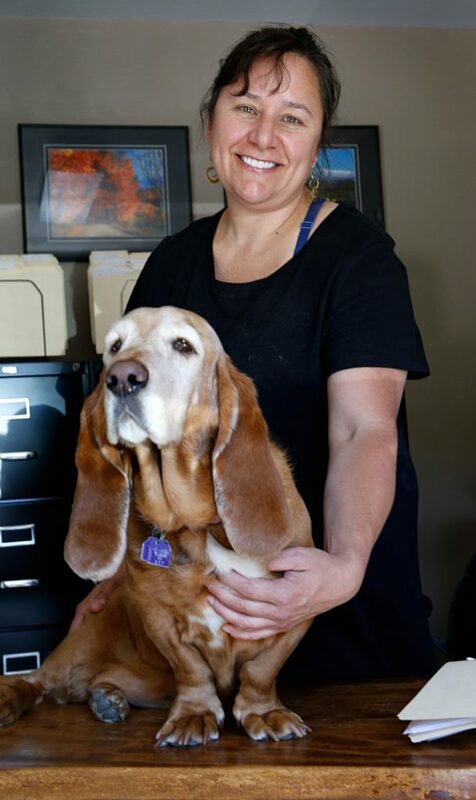 Photographed on July 18, 2018, Melissa Allen is owner of Gray Ledges Rentals and Property Management in Grantham, N.H. Allen started the business in 2011 and is usually accompanied by her office dog, Penelope. (Valley News - Geoff Hansen) Copyright Valley News. May not be reprinted or used online without permission. Send requests to permission@vnews.com. Gray Ledges Rentals and Property Management has properties throughout the Upper Valley, but you have a particular focus on the Sunapee and Eastman areas. Both of those are winter destinations, with downhill and cross country skiing. Is the summer equally busy? Actually, the busiest months are June through August. Lots of transitions happen in the long-term market and many folks visit Eastman in the warmer months for golfing, to see family, to get out of the Florida heat or for the Eastman camps. I have many more short- and mid- term rentals in the summer than the winter. Living in a vacation destination can be great, but most Upper Valley residents want to be here when the area is at its prime during the summer. Who is the typical homeowner that you work with? I represent many different kinds of folks: professional property owners (although that’s less common), folks that have moved away for business or to assisted living, or folks moving up or down in home size and unable to sell their current home. Most of the folks that I represent are not local, but may live two or more hours away. Very often, a homeowner is someone who has a second home in the Upper Valley and rents it out part time to supplement the expense of the property. And who is the typical renter? There really is no typical renter. 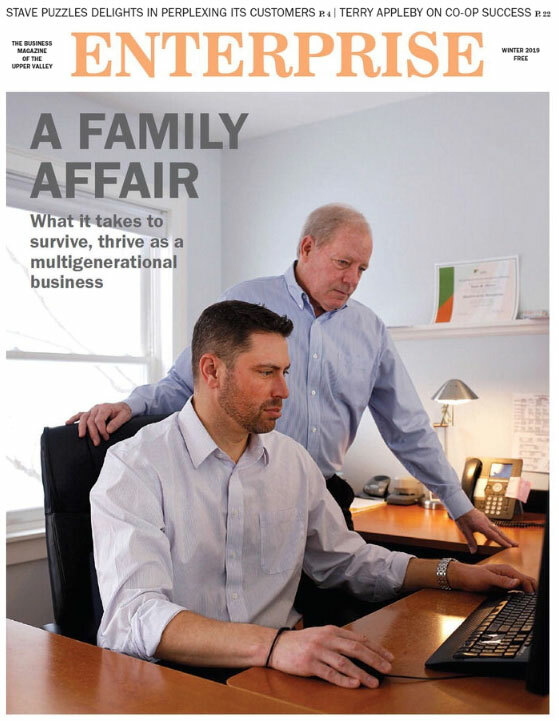 Renters vary from professionals in the Upper Valley to folks with young families to retirees. Folks come from all over the country to be in Eastman. I have lots of folks from Florida in the summer months for sure. About a quarter of renters return to the same property every year, driven by their memories, family connections and positive experiences. Since you started Grey Ledges in 2011, owner-driven rental sites like Airbnb have really taken off. Has this impacted your business? They have in the past, but I think homeowners are understanding that rentals are work and risk, and are coming around to having a company like Gray Ledges Rentals help them with their property. We are local, so we can be there if something goes wrong. We understand the seasonal fluctuations in the market. One thing that has changed is that we now advertise much more online, since that is where people are looking for vacation rentals. What should homeowners recognize about the business of renting out their property? Even in an area like the Upper Valley that has consistent appeal, every year is different. Some years have strong short-term rental markets and other years do not. One must be flexible.